Straphangers have noticed in recent weeks that New York City's newest subway stations -- the ones the MTA said would be state-of-the-art and climate-controlled -- are actually very, very hot. Andrew Siff reports. Straphangers have noticed in recent weeks that New York City's newest subway stations -- the ones the MTA said would be state-of-the-art and climate-controlled -- are actually very, very hot. "It's humid," said Benny Kelly of the Upper East Side. "Not really climate-controlled. It's never really, like, comfortable." "Very sticky and muggy and damp," said Henry Ripati. "It's incredibly hot," said Danielle Esposito. 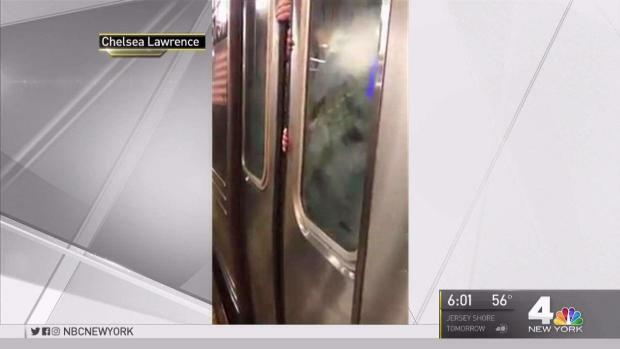 Desperate straphangers stuck for nearly an hour in a powerless subway car with no air conditioning tried to break out of an F train at Manhattan's Broadway-Lafayette station Monday evening. Lori Bordonaro reports. Commuters wonder what happened to the climate control the MTA promised when it delivered the 72nd Street, 96th Street and 86th Street subway stations on the Second Avenue line on New Year's Day. Nobody noticed in the winter, but now that summer's here, riders are paying attention. Transit sources tell the I-Team that the MTA must get permission from the city health department to cool the air after passing a test certifying no risk of Legionnaires disease in its cooling towers. Sources say the MTA hadn't approached that test with a sense of urgency, focusing instead on getting the trains running. The MTA finally got the permission last Friday -- and says cooler air should start pumping through the new stations this week. 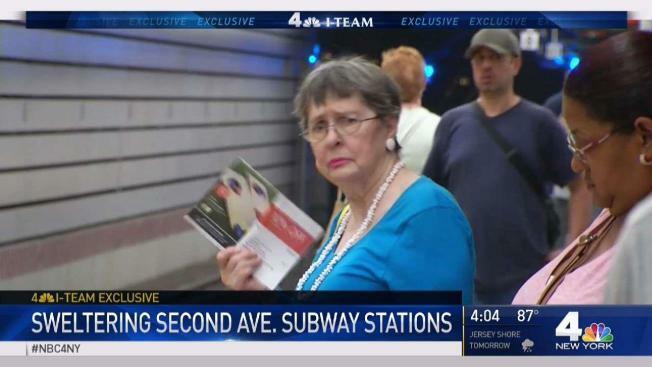 An MTA spokesman said in a statement to the I-Team, "We are thrilled with the high level of service the Second Avenue subway is providing after decades of delay and the impact it's had reducing passenger loads on the Lexington Avenue line. "We expect the climate control to be activated on all stations on the line over the next two days," he said. The stations should have climate control by the end of Friday. The Upper East Side commute has gotten better and faster with the new Second Avenue subway, Select Bus Service and bike lanes. The new city ferry service will have a stop here next year too. 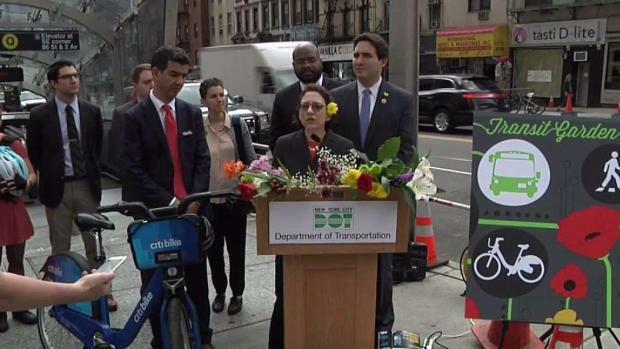 Officials call it a "transit garden." Andrew Siff reports.